High court demands government justify religious status quo at Western Wall. The Supreme Court issued a challenge to Israel’s status quo on religion and state, ordering administrators of the Western Wall to justify the ban on women from leading prayers at the holy site, as sought in a petition. In accordance with Jewish tradition and historical precedent, there are separate prayer sections for women and men at the Western Wall. As per tradition at the Wall, and in accordance with the custom of most worshippers at the holy site, women are not permitted to lead group prayers or read from Torah scrolls. A small group of left-wing activists, however, have been campaigning for the religious status quo at the Western Wall to be altered. The Israeli Supreme Court's decision on the side of the activists who submitted the petition demanding the changes was issued on Wednesday. The petition came after a dramatic but controversial agreement was reached last year to create a third space for alternative prayer groups at a part of the Western Wall not bordered by the Kotel plaza and which would be open to both women and men. It is located near historic Robinson's Arch, the remnant of a bridge that was used to enter the Temple Mount area in 2nd Temple times. The Women of the Wall organization, which for years has agitated for an end to the status quo at the Wall, accepted the agreement. Due to strong opposition by worshippers, however, the planned modification has been delayed. While the Women of the Wall come to pray on the first day of the Hebrew month, the Kotel is filled with hundreds of devout women every day - and they do not want tradition to be changed. 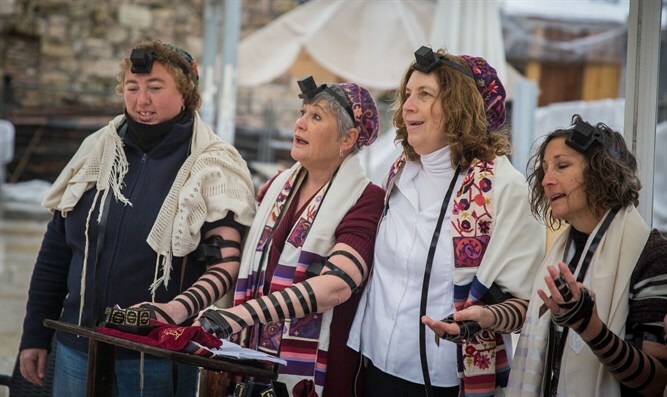 The petition was filed by a splinter group calling itself the Original Women of the Wall, who also reject the Robinson's Arch arrangement and demand to be allowed to lead prayers for women at the Western Wall plaza and read the Torah there. Wednesday's court decision ordered the state to explain "why the petitioners can't pray according to their custom in the traditional plaza or alternatively to enable them to pray according to their custom at a site with similar access to the traditional plaza," a reference to the Robinson's Arch solution. The Supreme Court also prohibited the Western Wall administration from efforts to prevent the smuggling of Torah scrolls into the women’s section of the plaza. The court said it would unify the case at hand with the Women of the Wall's petition against the state's delay in implementing the Robinson's Arch arrangement.